Homes for sale with mountain views is the most popular home search feature in Denver and Colorado according to Realtor.com . Find homes for sale with mountain views in the Denver MLS below or search homes for sale with mountain views here. Check out the most popular home search features in every other state on Realtor.com. Homes with mountain views are what people from other states imagine all of Denver and Colorado having. But mountain views are not that common for homes in Metro Denver MLS. Year to date there were 12,147 homes with mountain views that sold in the Denver MLS of the total 56,624 homes that sold in the Denver MLS year to date. 21% of homes for sale in the MLS during 2015 represented to be homes with mountain views. 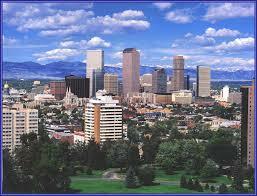 That makes homes with mountain views in and around Denver even more valuable and sought after. The scarcity of homes with mountain views in the Denver MLS means that those homes that have mountain views would sell for more and would sell faster. The average days on market in the Denver MLS in 2014 was 36 days on the market and was 26 days on the market in 2015. The average days on market for homes with mountain views in the Denver MLS in 2014 was 52 days on the market and 42 days on the market for 2015. The average price per square foot in the entire Denver MLS was $163 per square foot in 2014 and $175 per square foot in 2015. The average price per total square foot of homes with mountain views was $167 per square foot in 2014 and $180 per square foot in 2015. The average total sale price of homes in the Denver MLS was $324,021 in 2014 and 359,615 in 2015. The average total sale price of homes with mountain views in the Denver MLS was $417, 403 in 2014 and $457,563 in 2015. In conclusion, Homes with mountain views sell for 27% more than the average MLS sales price in 2015. 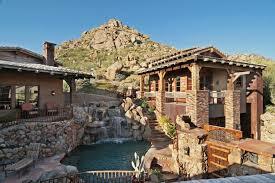 There is not a large price per square foot difference of how much per square foot homes with mountain views cost. And homes with mountain views take 62% longer to sell in 2015 than the MLS average. I would hypothesize that lots and areas that have mountain views have larger, more expensive homes built on them. Larger homes would drive down the price per square foot. More expensive homes take longer to sell. Homes for sale with mountain views in Denver and Homes for sale with mountain views in Colorado. Click here to modify your search of homes for sale with mountain views by price, location etc.